This review appears in our March/April issue. Download it here. 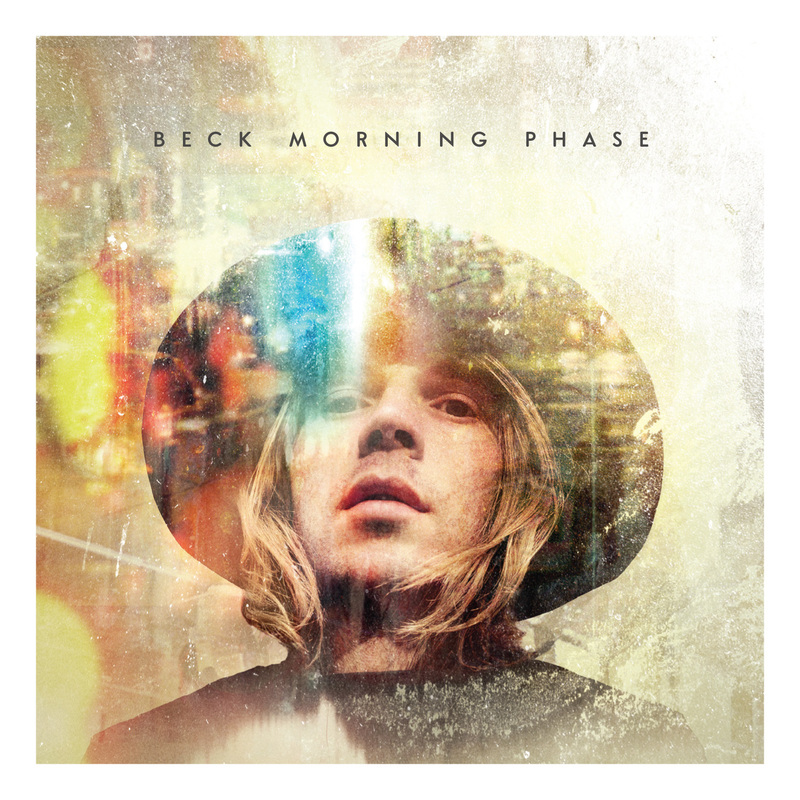 Given how explicitly Beck has referred to new album, Morning Phase – his Capitol Records debut and twelfth studio effort – as a companion piece to Sea Change, it’s problematic drawing conclusions about the latest disc without simultaneously reexamining the other. That 2002 record was intentionally sorrowful and largely down-tempo, a drastic break from the hip-hop influenced, crunchy-riff-laden tunes of some earlier releases that attracted so many core fans. It was the purest sort of “breakup album” in the way it successfully translated the feelings derived from that isolating experience as completely universal and common. Morning Phase induces a similar sense of introspection likewise yielded by the songs’ sample-free, acoustic-based progressions, dreamy vocals and interludes of serious-toned strings. Much of that – and the idea of pairing this album with Sea Change in the first place – is likely due to the albums’ shared musicians: Justin Meldal-Johnsen, Smokey Hormel, Roger Joseph Manning, Jr., drummer Joey Waronker and Beck’s own father, David Campbell, as orchestral arranger. Yet, despite achieving a similar mood, the new songs – at least thematically – have an overarching air of hope. Where Sea Change evoked images of Beck overcome with emotion, perhaps pondering things while hiding in a cold room with no windows, Morning Phase conjures visions of an artist emerging from that room knowing that the battle with his feelings was worth it for the wisdom gained. The opening track, “Cycle,” implies just that. It’s a mere 40-second, slowly building string arrangement with no accompanying vocals or other instruments. Like even the most intense of emotions and mood of this album, it’s cyclical and fleeting, clearing the auditory palette for the somber tones to come – a sort of sonic centering before a deep meditation. His response to that sort of self-questioning, it seems, is precisely this body of work, which – in a particularly meta way – reveals the difficult yet ultimately gratifying process of tapping familiar moods to overcome periods of creative static. But by the same token, he’d been sitting on some of these Morning Phase songs for the better part of the last decade, not formulating a place for them until he recorded several other likeminded tunes at Jack White’s Third Man Records studio in Nashville about two years ago. Those lyrics suggest a revelatory experience stemming from letting go of some things – perhaps his original songwriting process – yet finding inspiration still so close to home and heart. Evidence for a balance struck crops up in different ways: “Blackbird Chain” unabashedly taps common pop-rock influences by recalling equal parts “Freebird” – specifically, the “chay-ay-ain” that ends each chorus – and “Eleanor Rigby” with an insertion of regal strings in the outro. Then, “Waves” – unequivocally the album’s most affecting tune – revisits the orchestral heaviness of Sea Change tracks like “Paper Tiger” and “Lonesome Tears” while echoing striking similarities to Radiohead’s “Pyramid Song” without the English band’s frenetic backing beat. Still, though its strings-only aesthetic makes for a piece more macabre than anything else in Beck’s catalogue, the song upholds the album’s underlying optimism in the face of a figurative wave of surging emotions: “If I surrender/ and I don’t fight this wave/ I won’t go under/I’ll only be carried away,” he vows. Therein lies the biggest difference between Morning Phase and its 2002 counterpart: intent. It comes full circle in the way that the largely serene, chime-y closing cut, “Waking Light,” inserts layer upon layer of ghostly “oohs,” booming beats and sweeping strings until it explodes into an infectiously catchy, George Harrison-inspired guitar solo at the end. A few blissful moments of pure pop, however, don’t solve the problem of this record lacking a load of obvious singles. With an instantly memorable chorus, “Say Goodbye,” is the only candidate aside from chosen lead cut, “Blue Moon,” which is truthfully a bit too lofty to keep most radio listeners engaged anyway. That said, many critics perceived Sea Change similarly prior to its release, yet it garnered a five-star rating from Rolling Stone and is largely regarded as one of Beck’s best works. Given that Morning Phase reveals similarly raw honesty and engrossing emotion – plus bears the mark of superior penmanship gained by a decade’s more patience and wisdom, the album is poised to be revered as one of Beck’s most potent collections.